Today is officially Mother’s Day in the U.S. and while most sons, daughters and husbands have opted for more traditional gifts like chocolates or flowers to show how much they appreciate the mums in their lives, Kanye West, of course, took things to a whole new level. And, as Mother’s Day surpises go, it doesn’t get much more lavish or outrageous than this. Kanye West decided to show Kim Kardashian – the mother to his two young children, lest we ever forget – just how much he loves her, by setting up a full string orchestra in their massive living room to serenade her. 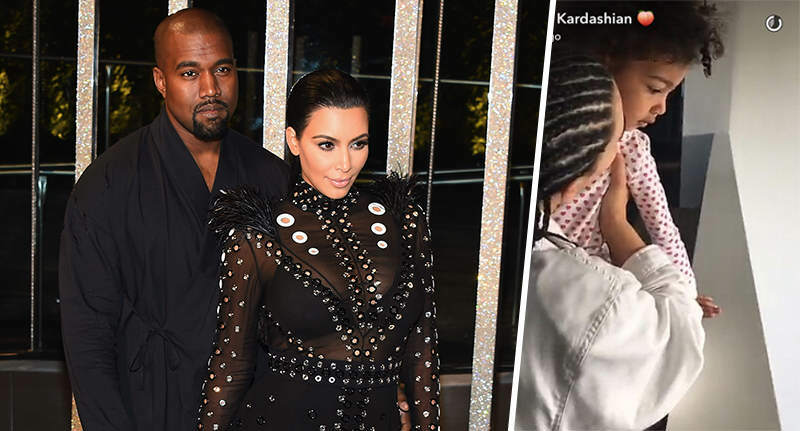 Kim shared a series of Snapchat posts of the incredible moment, as the violinists and cellists played a medley of songs in the surprise private concert, as Kim and daughter North, woken up by the music, looked on from the landing. Whatever happened to breakfast in bed, hey? We guess Kim wasn’t planning on sleeping in this morning. Anyway, it was clear that Kanye had coordinated the whole thing, although we’re kind of disappointed that he didn’t try and rap along to the music with some love songs of his own, given that he’s the ‘biggest rockstar on the planet’ and all. Although with song choices like ‘Tomorrow’ from the film Annie, and ‘Let It Go’ from Frozen, Yeezy’s style may not have quite fit here.